Published for the exhibition Kishio Suga: Intentional Scenic Space, held at Tomio Koyama Gallery, Tokyo (November 14 – December 26, 2015). This exhibition was the first in Tokyo to focus on Suga's recent large-scale assemblages. 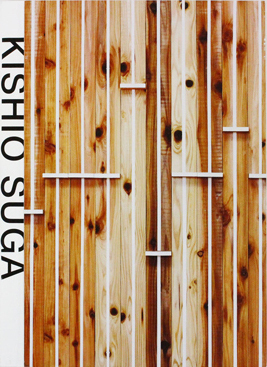 Art critic Midori Matsui's essay, The Presence of Things, the Position of People: The Interdependence of Mind and Matter in Kishio Suga's Artistic Practice, reflects on the implication of Suga's solo exhibition in 2015, comprehensively referring to his works and essays from the 1960s to the 1980s.